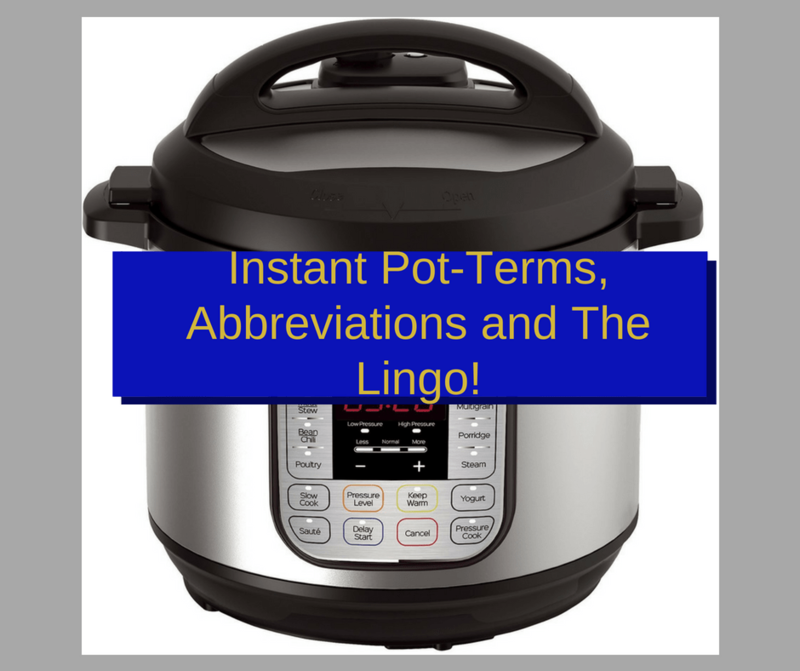 Instant Pot-Terms, Abbreviations and The Lingo! 10 Min NPR-Do a natural release until the timer read 10:00, then do a quick release for the rest of the pressure. Pin-The metal rod near the vent, that lets you know when the pressure has fully dropped. 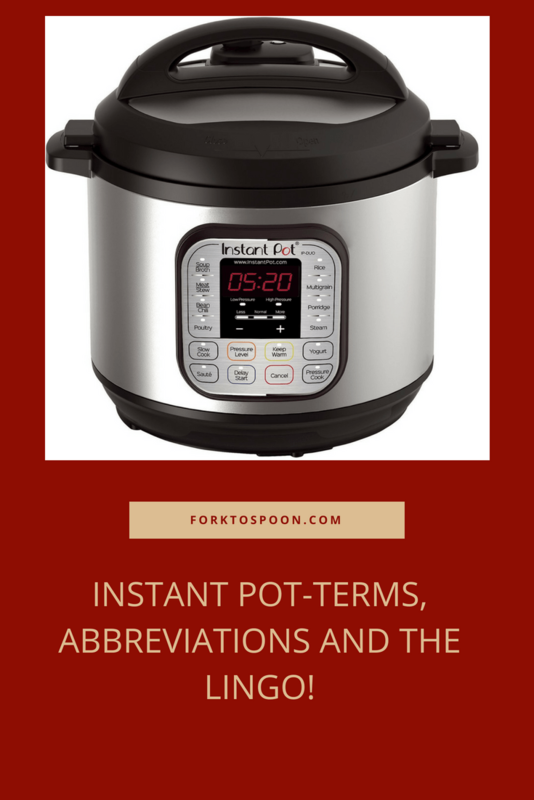 PIP-Pot In Pot-Using an Instant Pot Safe Bowl, inside the Instant Pot. SR-The Sealing Rings for the Instant Pot, most people change them frequently. Water Test-The initial test run, to make sure that the Instant Pot is functioning well before you try to attempt to cook something.